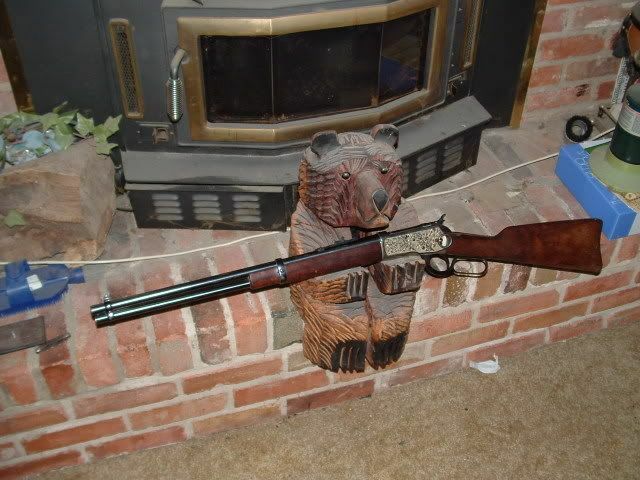 Rossi .357Mags; 20" Carbine and 24" Rifle with Marbles Tang (before I put the Lyman Globe front sight on) and a Cattleman Cavalry model also in .357Mag. 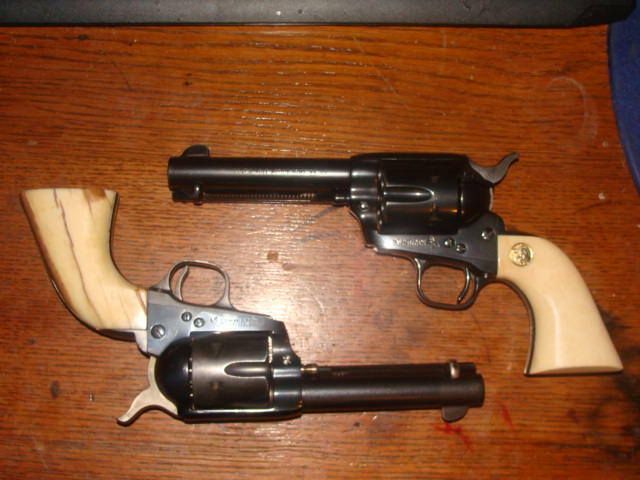 "THE OLDER I GET THE MORE I APPRECIATE THE .357 AND ESPECIALLY WITH A SIXGUN/LEVERGUN COMBINATION." Well, 357 Trapper and .45 until I can get a picture of a Ruger .357. Old Rossi 92 20"SRC with my 2nd Gen Colt SAA. 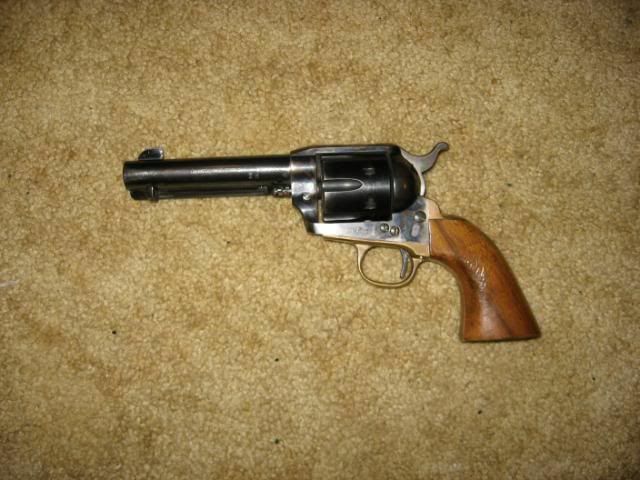 While I love my 45 Colt combos, my wife loved her .38/357 guns! Thanks Gentlemen... In fact, my son suggested earlier today that since I'll be home tomorrow, and there's a shoot at my CAS club on Sunday, I should go. After seeing this topic, I think I'll use her guns in her memory... Maybe they'll bring the luck she always did! Clone of a clone so, so is the other. Great idea! 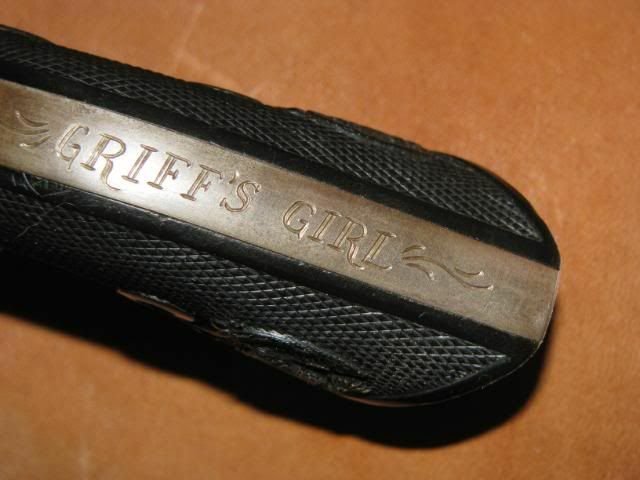 I just learned a while back that one of my late wife's guns is coming back to me. It will be used. Here's my favorite pair, well right now. 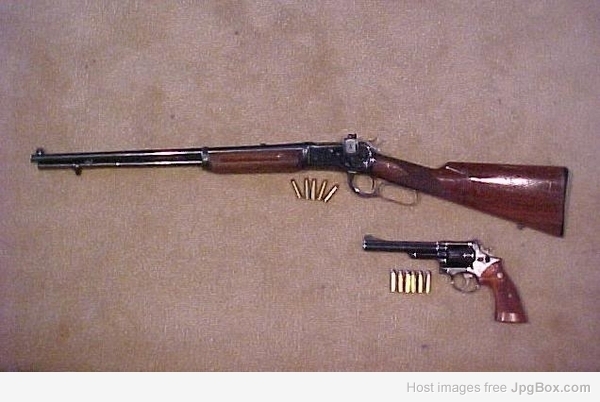 73 SRC from 1895 and Colt SAA from 1900, both in 44-40. Last edited by M. M. Wright on Fri Apr 12, 2019 10:33 pm, edited 1 time in total. I think that is a GREAT idea, Griff! You go and make em talk, buddy! Thought of going with a Rossi 92 and a Model 28. 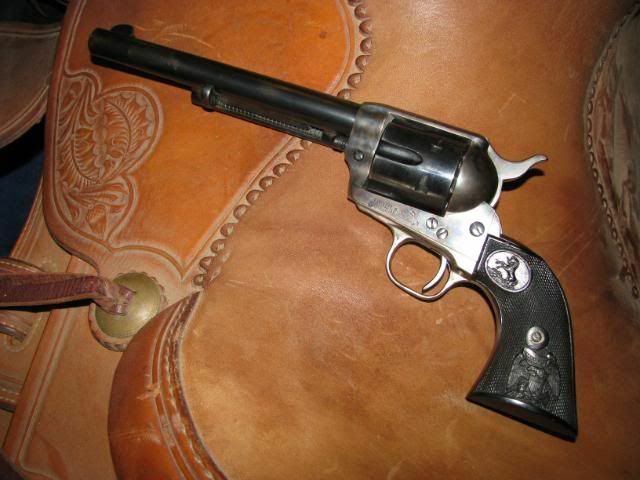 While I posted the pic of my Rossi with my Colt, the truth is, I carry one of these with it most of the time. I'm a firm believer in that receiver sight for the Rossi from Stevezgunz. While a pair is nice, 2 pair is even better. 44-40s, full blue with ivory. Top is 3rd from custom shop and bottom is 2nd reworked commemorative. Using the Wife's guns this past Sunday: Stage 6. Some lovely pieces there folks!